Every now and again you get a movie that critics and audiences don’t like. Then you get movies that both parties warm to, but occasionally you get movies that hit that sweet spot and equally impress both. Hell or High Water is one such movie, and rightly so. Re-teaming Pine and Foster after the solidly old fashioned but ultimately lacklustre The Finest Hours earlier this year, Hell or High Water is an absorbing crime heist drama that washes away the “meh” summer season to great effect. The Autumn movies season has arrived with aplomb. Front and centre is Chris Pine and Ben Foster. Firstly, let’s take Pine. I really like his take on Captain Kirk, but this movie allows the actor to breath as well – an actor. He is scruffy, unshaven and sports a Texan drawl. His beloved Pine Nuts (His fan club) will be in for a shock. He is a world away from the clean cut hero type roles we have been fed thus far. It proves that post Trek, Pine has a fine career ahead of him. As for Ben Foster, who I last saw terribly miscast as Medivh in Warcraft is also firing on all cylinders. He nails his slightly unhinged ex-con role to a tee. Both actors deserve to at least get nominated come awards season next year. The relationship between the two brothers is clearly one that exists on a knifes edge. They clearly have a deep love for each other but at the same time, have very different ways of going about things. Chris Pine’s character is more level headed and wants to get the same rewards as his brother, but wants to go about things with a more considered approach. Whereas Foster’s character is hot headed and volatile, leaving to many moments of friction between the brothers. On their tail is Jeff Bridges as State Trooper Marcus Hamilton who's one step away from retirement. He’s seen it all and done it all, and is cynical as hell. He’s like the Dude from The Big Lebowski 18 years on. He is superb and I wouldn't be surprised that there is Oscar buzz surrounding his portrayal. Bridges is partnered with Gill Birmingham who plays Alberto Parker. The chemistry and banter between the duo is superb and at times very funny and just highlights the high level of dialogue this movie has to offer. The movie features great direction, pacing and writing. The movie cleverly weaves the story of the brothers with that of Jeff Bridges and his partner. Yes, it’s a classic cat and mouse “cops and robbers” tale, but the way the tension is ramped up throughout the movie is superbly done. The central tales aside HoHW also offers an clever insight into people's loathing for banks and how many people see them as the robbers. ​The film also makes great use of tracking shots and draw dropping vistas. 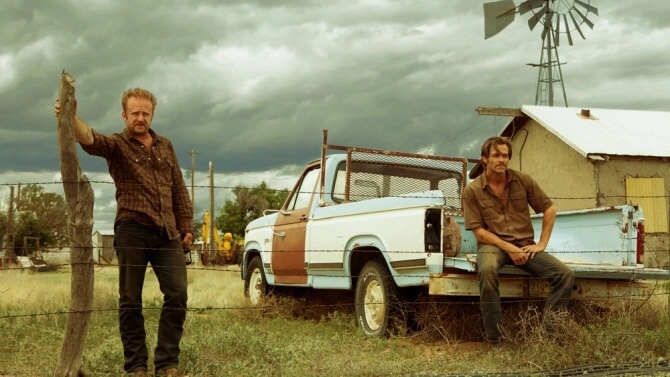 Hell or High Water also has a great country and western rock themed soundtrack. Another neat touch as well was the use of signs that the brothers see when driving through towns. Signs that had messages that were relevant to their quest such as “Get Rich Quick!”, “Instant Cash!” And perhaps for the most ominous for them “For Sale”. Finally, the movie is also very cleverly titled. It derives from both meanings of the phrase “come hell or high water”. Firstly meaning “do whatever needs to be done, not matter what it takes” but also it refers to the “hell or high water clause” which is a clause in a contract, usually a lease which provides that the payments must continue irrespective of the difficulties incurred in making those payments. 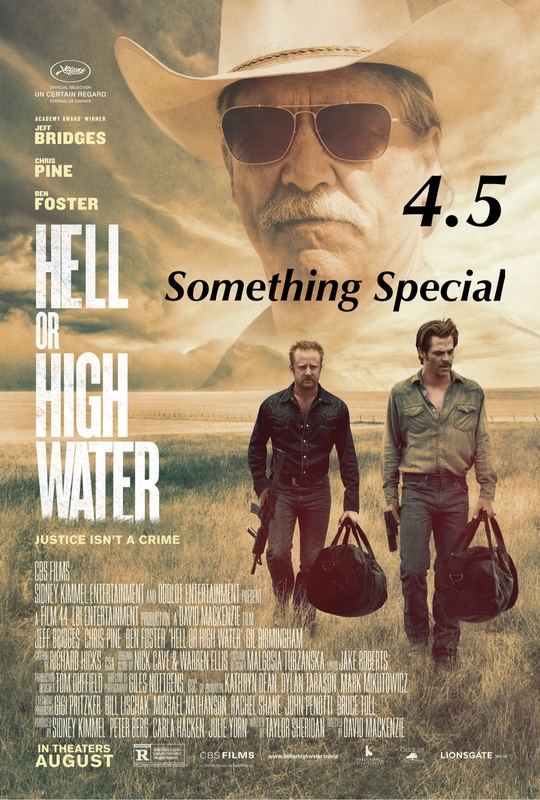 I cannot recommend Hell or High Water highly enough. 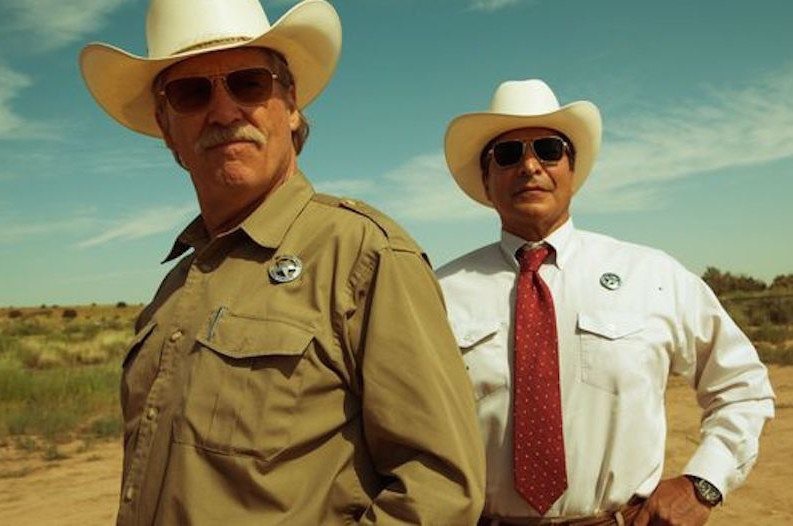 If you have become disillusioned after the summer season or are just in the need of seeing a bloody good movie, then look no further than Hell or High Water, I promised - you won't feel robbed. 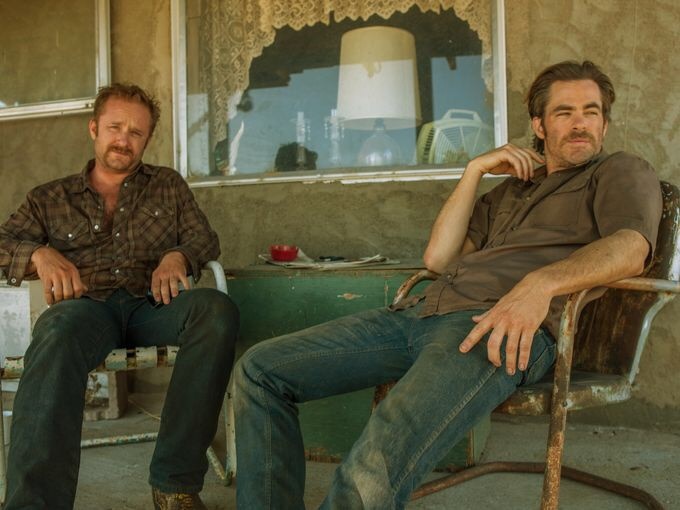 Hell or High Water is released in the UK September 9th.